Our whimsical, mismatched socks are the perfect combination of comfort and fun! 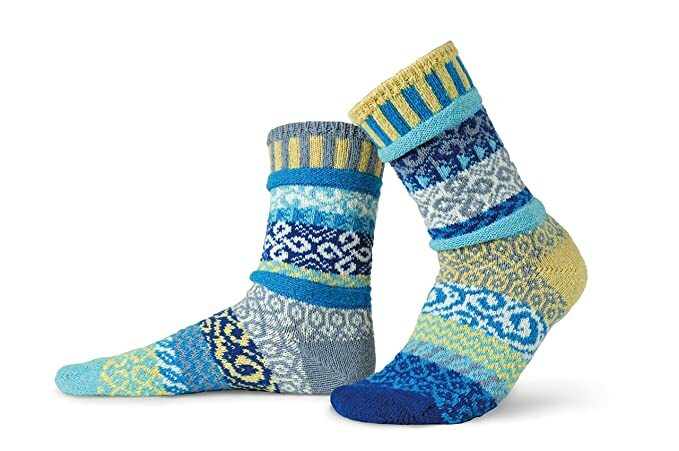 Made right here in the USA, Solmate Socks'; unique styles and patterns are the perfect way to bring some cheer into your life. Our wildly popular crew socks have so much zest and flare - they're the perfect addition to anyone's wardrobe. Wearing these is sure to put an extra smile in your day and a little pep in your step! "I was given so many compliments on the outfit I wore yesterday especially because my socks "pulled it all together"!